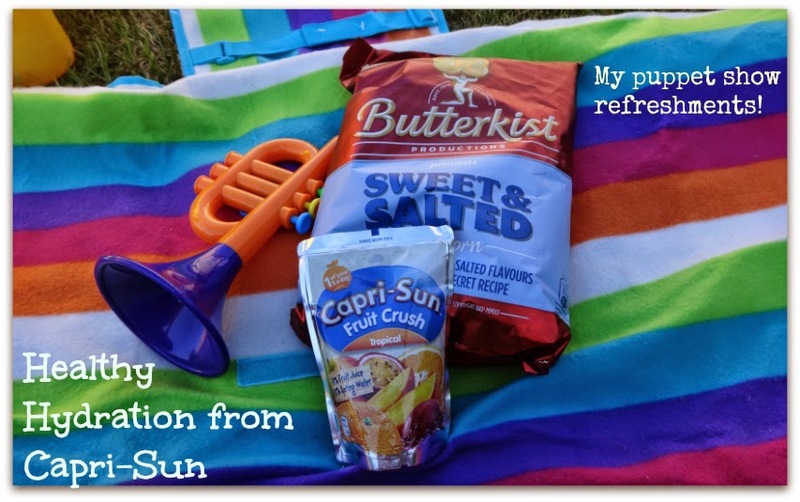 New Mum Online: Fun in the Sun with Capri-Sun. It Goes Everywhere we Do! Fun in the Sun with Capri-Sun. It Goes Everywhere we Do! This shop has been compensated by Collective Bias, Inc. and Capri-Sun. All text, photos, videos and opinions are mine alone. I remember Capri-Sun from when I was little, and I am glad it's still around for Aaron to enjoy. Regular readers will know I avoid aspartame, so clearly Capri-Sun doesn't contain any nasties, else I would not be writing this post. 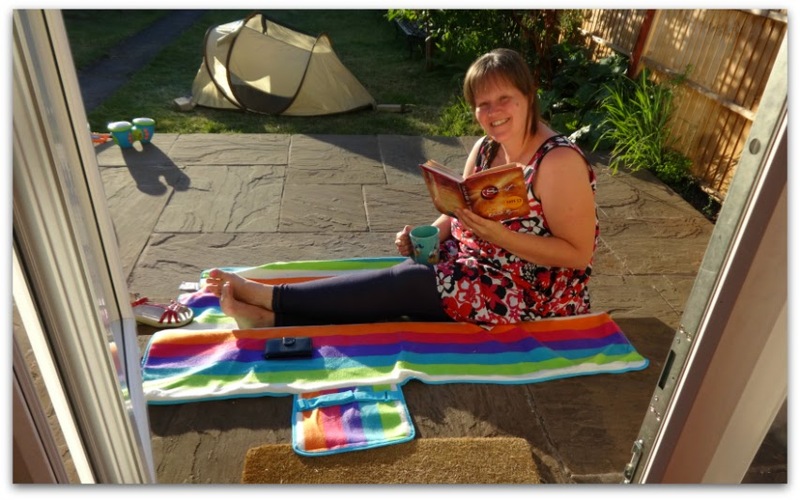 We have chairs for our garden and a swing for Aaron, but getting out a picnic rug the other day, gave the garden a whole other dimension, and Aaron couldn't get enough of it. So Sunday for the first time in years, there was only one thing for it, I tried some yoga :-) Out on the rug, in the great outdoors. 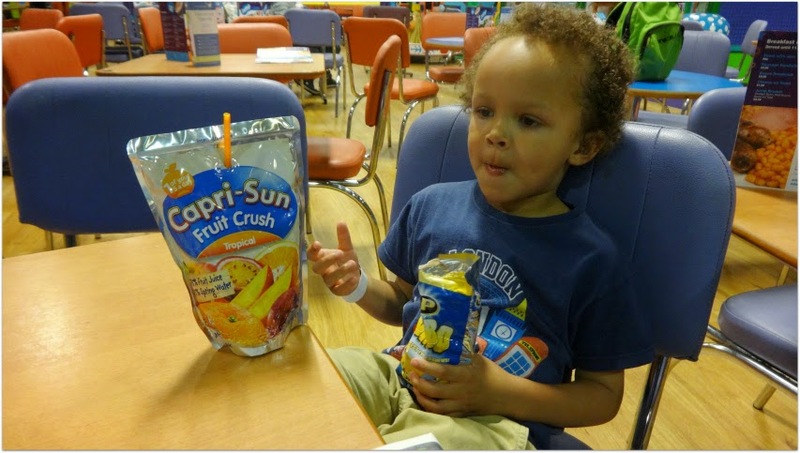 After that we headed to Asda to stock up on Capri-Sun and I was amazed. The selection has grown. We had a few to choose from. When I say a few to choose from, I don't mean the 3 flavours above (which can be found here: Capri-Sun Fruit Crush), I mean that the whole range "Fruit Crush" is new to me, and is in addition to the traditional Capri-Sun and incidentally even the traditional one now comes in a range of flavours. 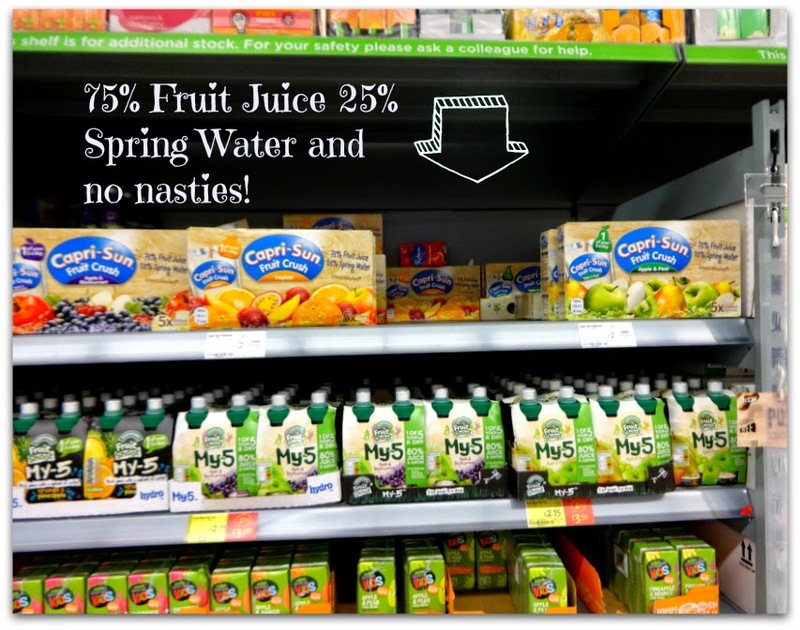 Fruit Crush pictured above is their healthier range which is 75% fruit and 25% spring water and forms 1 of your 5 a day. So healthy that whereas the normal Capri-Sun is currently (at Asda) a pack of 10 for two pounds (I know, bargain right?!??!) these ones are a pack of 5 for two pounds, but well worth it. So if you have a little one, who normally drinks water and you don't want to give them a sugar rush, then this is just the ticket for you. Whilst doing our Asda "shoppertunity" I could not help but notice the tents on display in the foyer on the way in, so ended up buying this! 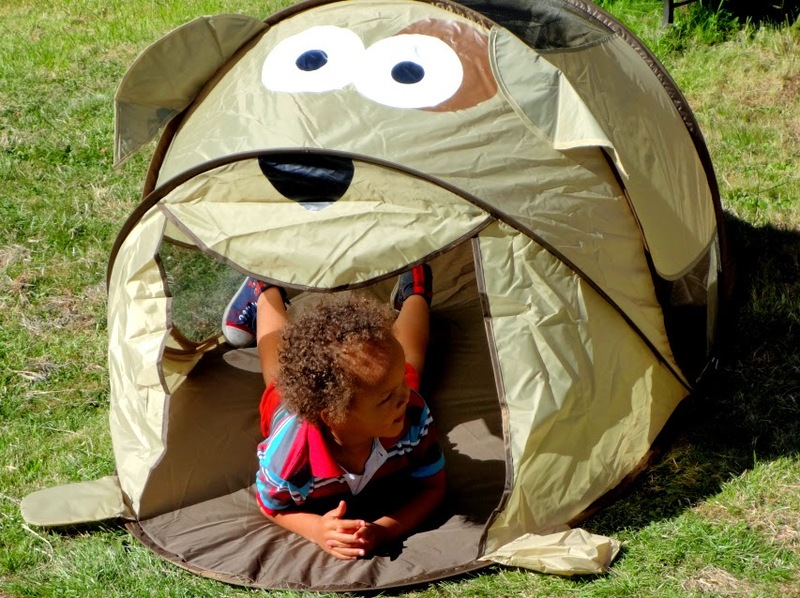 We were in and out to the play pop-up tent all evening Sunday, after the food shopping - what a glorious evening it was too. At one point Aaron said "take your places" and I said "Is that a stage?". He seemed shocked but yes "yes"! 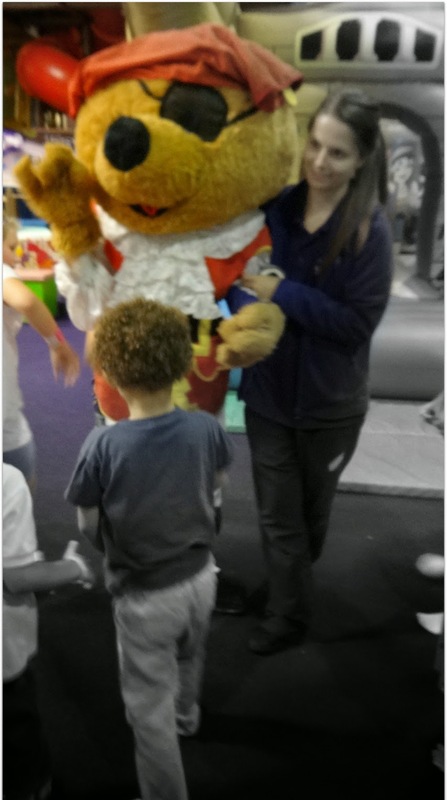 So I said: "Do you want to do a puppet show?". He'd recently seen one in the Zoo so readily agreed. I did one, but Daddy was inside so it was not recorded (shame, as it was GREAT if I do say so myself), but I recorded three of Aaron's attempts. We'd all just consumed a 10 inch pizza that was only 3.70 pounds in Asda, but I fancied something sweet, so I set myself up, theatre style with a drink and a snack on my rug. The trumpet is how he wanted me to announce the start of the show LOL! So his performance started with a toot toot rather than a drum roll. 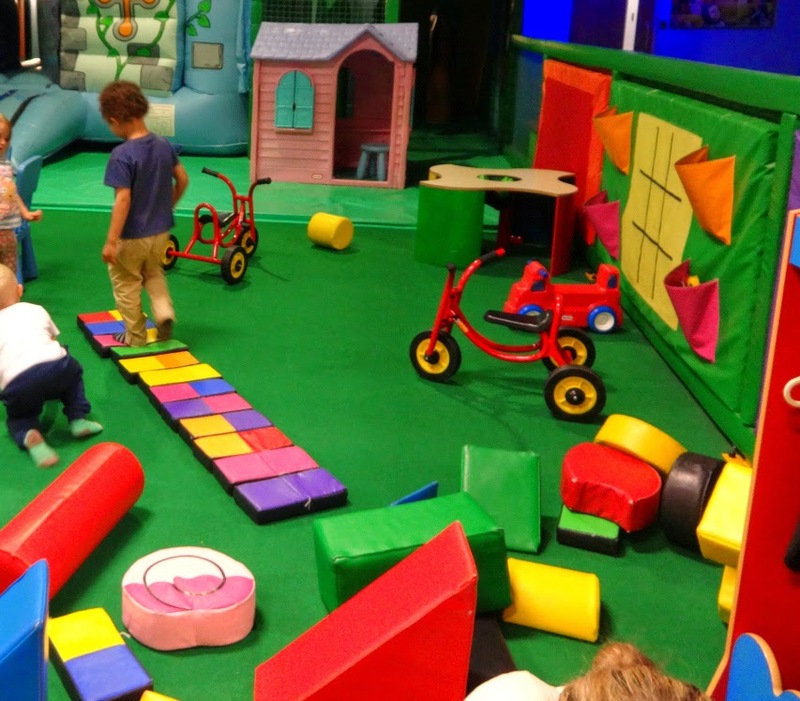 After this glorious sunny day, we woke up to rain on Monday, so decided to head off to soft play. Tuesday night I started making dinner in good time (whilst Aaron was at nursery as he comes home ravenous). 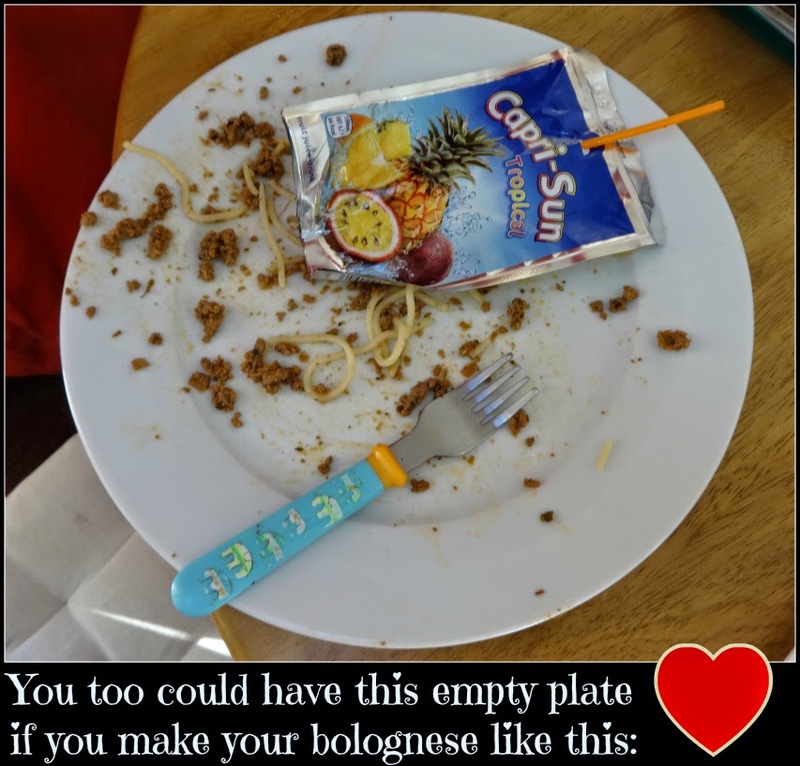 As I made the bolognese it dawned on me that he would go mental about the tomato lumps and pieces of onion, so I tipped the whole lot, once the mince was fully browned, into my Vitamix. This is how I did it, and if you watch till the final slide you will see that he washed it down with Capri-Sun. An adult portion and he asked for seconds. SPAG BOL without the lumps! 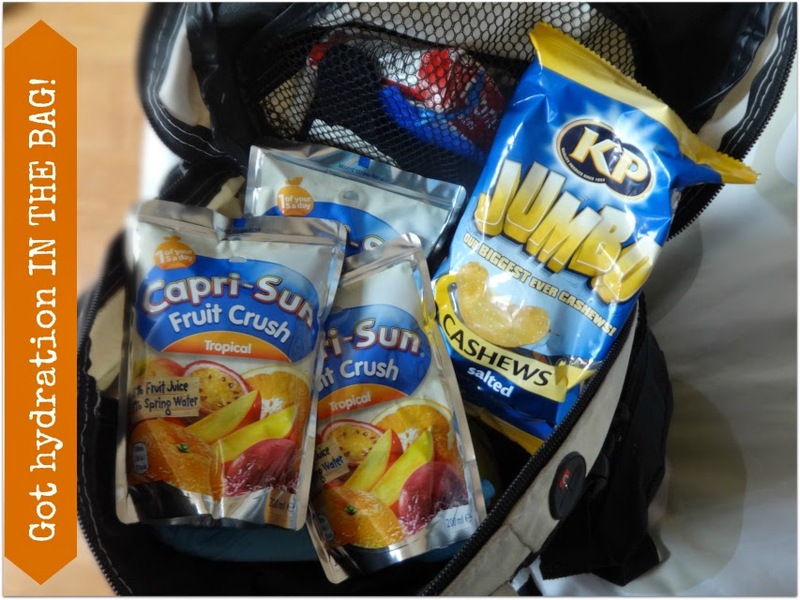 See our Capri-Sun has been keeping us hydrated inside and out; outdoors and indoors! It's so weird - I bought a Capri-Sun the other day from the garage - for me! I love that this iconic drink (in my mind) is still around, and I am loving the new flavours. We love freezing these and then chopping the top off to have an ice-cold slushie to eat with a spoon! Well we bought 3 boxes. 1 box of 5 Fruit Crush, long since finished and 2 x boxes of 10 in each of the traditional Capri-Sun. A few of them are going in the freezer RIGHT NOW as I LOVE this idea. Thank you for sharing Mrs.
We avoid drinks in pouches because the kids tend to spill them everywhere. They are very good value. Michelle's idea of freezing them is a great alternative. Aaah we love a good puppet show here too, Capri Sun are lovely but we didn't see the Fruit Crush ones so I'll have to hunt those out next time we are at the supermarket! I'm glad they are adding print water - I do worry about all the sugar (fruit sugar is still sugar) in kids' drinks. It's my big success this year that all mine are drinking water now! Sounds like you had a lot of fun! And that your son enjoyed the juice! I love these for when we're out on picnics etc. I've never liked these I'm afraid, they remind me too much of my own packed lunches when I was young. I used to love Capri sun. Then there was rumours going around about mould being found in them..and since then have been paranoid! But you know they DO a larger one right? The ones you see in Newsagents that has a screw cap lid. Will just look it up right now. Yep here they are with a lid. Like the look of the new packs. I'd avoid normal capri sun because of the sugar, but I like that there's more of these healthier drinks for children. 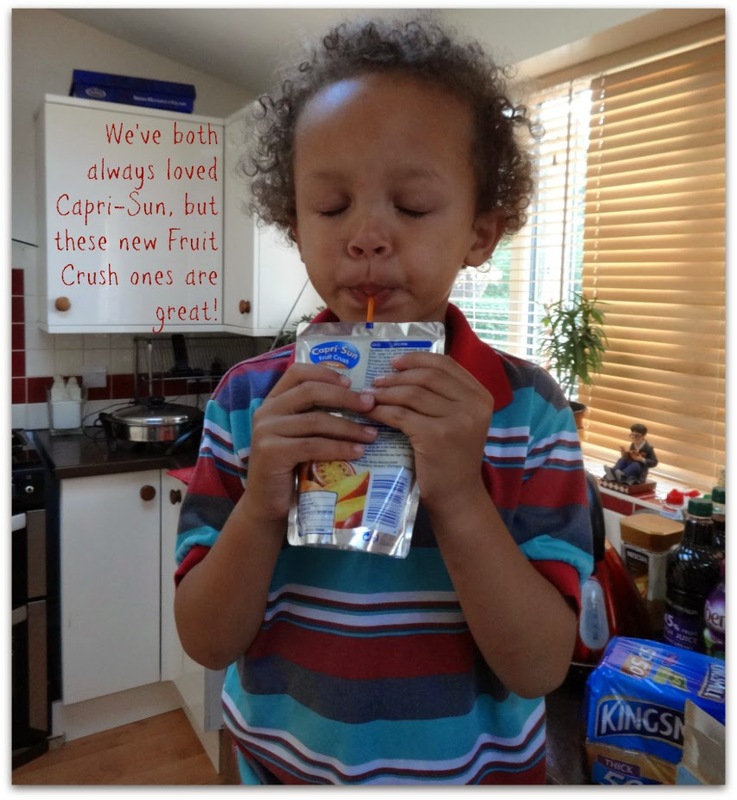 We adore Capri Sun, we always find it refreshing and its great that they have bought out a new range of flavours. Great review, thanks. We love the orange, but have yet to try out the new Capri flavours. Can't go wrong with Capri-Sun. I loved them as a kid too, and Aaron seems to be enjoying them - bless him. They're fantastic when you pop them in the freezer as an ice lolly too in this heat. And wow, yep they've grown a lot since my childhood lunchbox days. Did you pop some in the freezer to see, or did you forget lol?